Interesting to visit are traditional markets and hillside villages in the surroundings of Maumere and in Sikka Regency where you can watch the women while they are weaving the Ikat and get to know the inhabitants with their interesting culture, their dances and their music. Worthwhile to visit are the very traditional market in Geliting, the Pasar Alok and/or the fish market in Maumere and the Bajo village Wurring. Because of its volcanic origin with many active volcanoes Flores Island is very mountainous and offers a variety of possibilities for active holidays for trekking fans and hikers. In addition to the famous Vocano Kelimutu is climbing of volcano Egon near Maumere or Wawo Muda near Bajawa fancied. For experienced trekking fans it it also possible to climb Gunung Ineri with more that 2000m the highest volcano on Flores Island. Gladly we organize individual trekking tours with experienced local guides. A unique tourist attraction that is world-famous and can only be found here, are the prehistoric Komodo dragons that live on the islands Komodo and Rinca. From Labuan Bajo you can reach the islands Komodo and Rinca by boat Both islands belong to the Komodo national park. About 1200 of the around 3000 Komodo dragons live on the smaller "Dragon" - Island Rinca. We organise day trips or 2day/1night boat trips in Komodo National Park or even longer including snorkeling an if you wish we organize also private charter driving tours in Komodo. According to experts the unique and divers underwater around Flores and Komodo offer the best dive sites in the world. Already while snorkeling, you can discover the fascinating underwater world. Therefore, if you are visiting Flores you should not miss to do one or more boat trips. Beside of several days island hopping tours around Komodo National Park also impressive are snorkelling trips to the Island in Maumere Bay and to the 17 Island Marine Park in Riung on the north coast of Flores . Although the island of Flores is predominantly Catholic, there are mainly around Bajawa well-preserved traditional villages, where still megaliths are alive . 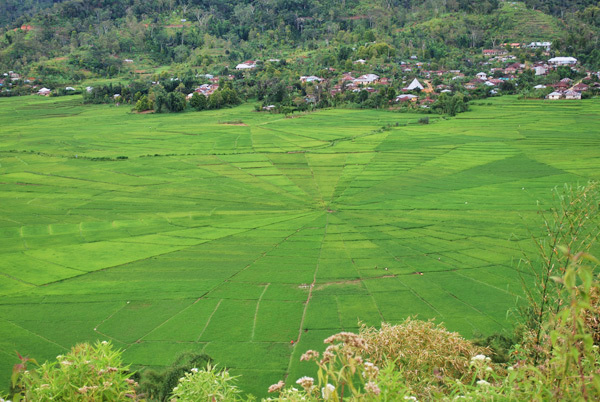 These villages are isolated embedded between two volcanoes Gunung Inerie and Gunung Deru. You can see here a certain form of folk architecture with shrines for male and female ancestors (Ngadhu and Bhaga) in the middle of these villages. Today still the daily life is influenced by animistic rituals and ancestor worship. 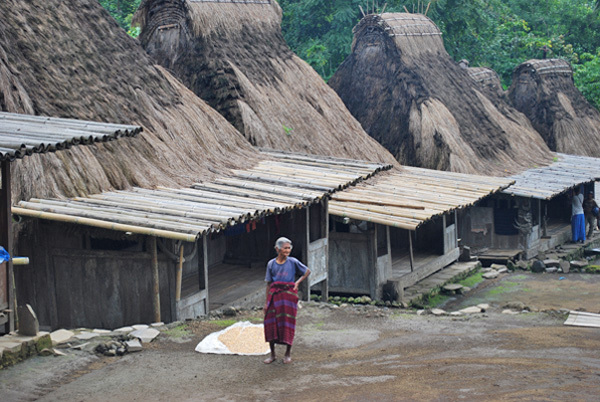 You can visit the villages Bena and Luba during a Flores Overland Tour . The visit of another even more isolated Ngada villages, such as Desa Guru Sina, Desa Tololela, Desa Belahragi is also possible with hiking and if you like you can overnight in home stay accommodation in Belahragi village to get experiance of the daily traditional life. Isolated in wonderful mountain scenery in the Manggarai an old village Wae Rebo with a unique architecture is preserved. It is only reachable by foot and the people are living here like hundreds of years ago and harvest and process traditionally best Arabica coffee. No mopeds, no electricity, no cell phone signal, only peace and unspoiled nature. There is much to see and experience on the touristy yet undiscovered small Sunda island Flores. But also if you are looking for a place just to relax you will find on Flores beautiful empty beaches, picturesque sunset, perfect places to unwind from the busy daily life.